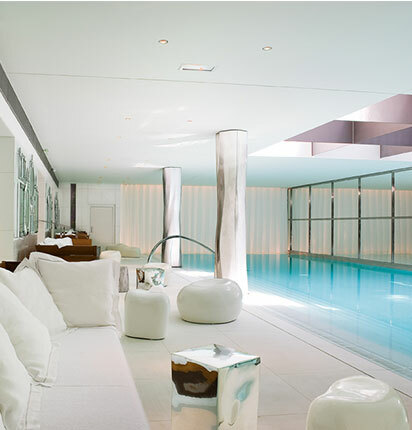 This week : Royal Detox at the Royal Monceau and Expo Paris at the Bon Marché. And also, Saint James invites Marie Marot, Sophie the Giraffe at the Bon Marché! and Pierre Guillaume, the epitome of elegance, the celebration of coffee at Caffé Stern, European Heritage Days this weekend that reveal the hidden side of the Jardin des Plantes, a delightful dessert tribute to painter Fantin-Latour on the occasion of the exhibition at the Luxembourg museum or the unique badges of Macon & Lesquoy to stick around everywhere, the opening of a new concept store dedicated to crafts, a children’s brunch at the Peninsula, a herbs garden at the Mandarin Oriental or the exhibition of students creations from Ecal for Mauviel 1830, the program is intense this week. Happy Paris ! On the occasion of the exhibition dedicated to Fantin-Latour at the Luxembourg Museum, Angelina offers until February 2017 to discover a pastry served exclusively in the tea room of the museum. Named Victoria in honor of the wife of Fantin-Latour, this fruit charlotte honors thz delicate and delicious still lifes of the painter. 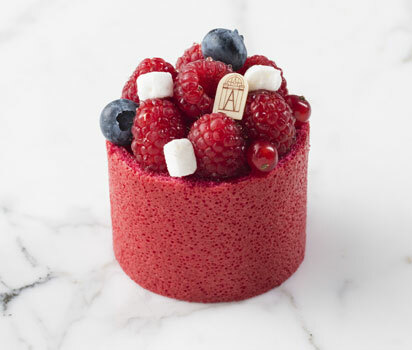 Pastry Chef Christophe Appert has devised a Joconde biscuit garnished with a strawberry mousse, raspberry confit, a lemon crisp and fresh berries. 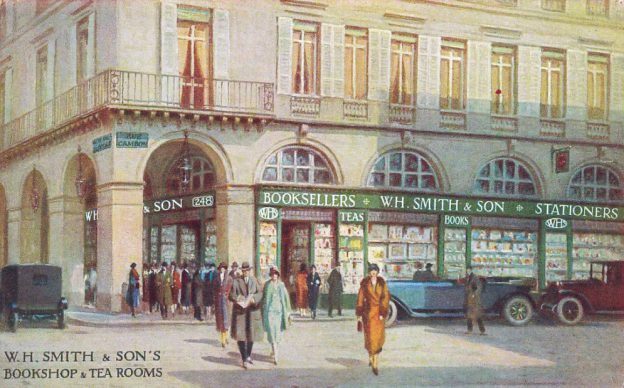 Since 113 years, the iconic bookstore WH Smith has been highlighting the art of reading and the English art of living. All Anglophile are seduced by the careful selection of books, magazines and small gifts: books, games and toys … coming straight from across the Channel. 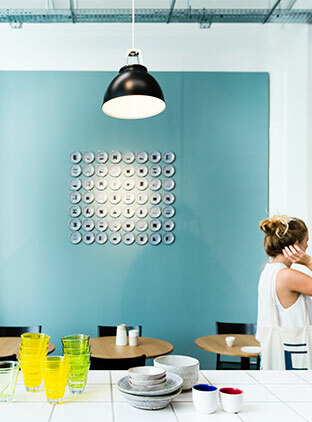 A lot of “tea timers” refuel in rare teas, delicatessen … We can now take a tea in the rules of art in the Twinings tea room. The setting: coats of arms, plaster moldings and original woodwork featuring the symbols of England and France, we can enjoy a selection of tea’s conventional breeding. Our favorite: the Afternoon tea (20 €) served with sweets and finger sandwiches … But know that you can also feast on some very brit’ breakfast dishes such as a welsh rarebit, a scotch egg or roast beef horseradish. 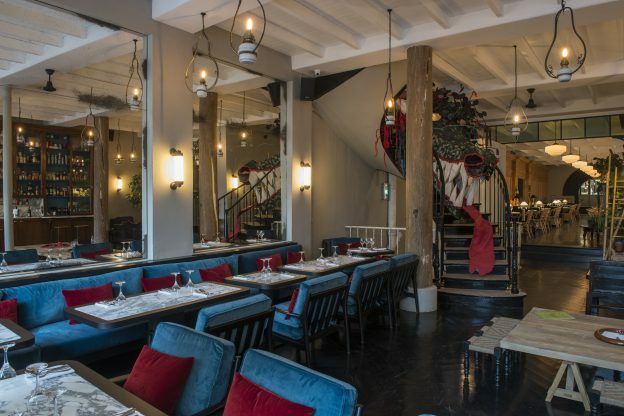 Restaurant, courtyard terrace where to take a drink, billiards room, small cozy lounge with a fireplace and… a huge smokehouse, there is all of it at Bambou! In the Sentier district, a former fabric workshop of 500 m2 was miraculously transformed into a hyper “hype” place. From the entrance, a wall covered with birdcages mottled in Asia gives the note: that of a stationary journey. At the restaurant, Antonin Bonnet iconic chef of the Sergent Recruteur, has put together a well-crafted Thai menu where spices play a major role: fried shrimp in spicy lime sauce, fried squid with black pepper & basil, Thai Satay beef, pad Thai shrimp curry … Best of: prices, not too spicy! This first Made in Paris store, large, light and airy is presenting collections as we like: elegant and unfussy. The decor is well represented through furniture oscillating between contemporary and vintage, lighting, Witch mirrors, small accessories which we adore and bed linens. There is a wide selection of candles including Apotheca collection inspired by a cabinet of apothecaries. We love Vitae, infused with orange scent. A lot of easy-to-wear designer jewelry. The little extra ? everything is French-made! 69, rue Jean de la Fontaine 75016 Paris. 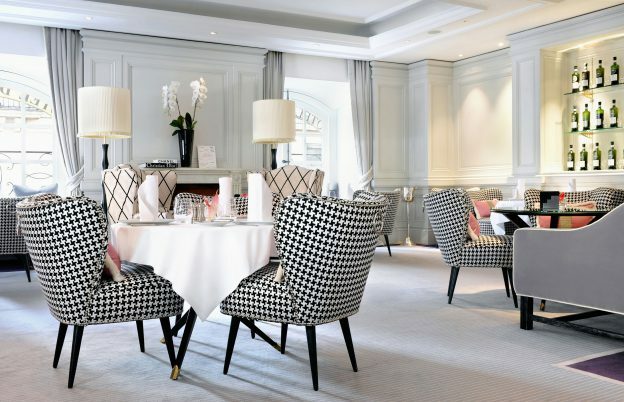 To celebrate its 70th anniversary, Sothys joined forces with the expertise of Bernardaud. 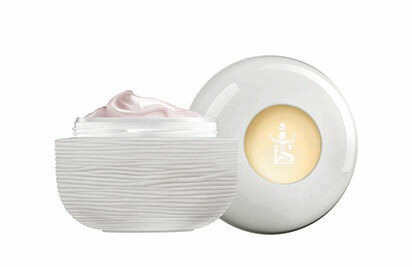 For the first time, a lovely porcelain pot by the Bernardaud factory contains a unique cream with exceptional properties: La Crème 128 – Secrets of Sothys. Sip of highly efficient assets, its subtly perfumed texture, gives the skin an incomparable vitality and immediate brilliance: smoothed and regenerated, it regains its youth! What more ? This is an excellent reason to also treat ourselves with the new ultra complete care: Soin Excellence Secrets, which lasts 2 hours an half in a VIP cabin at the Sothys Institut. For its sixth edition of Pink October, the Peninsula hotels are highlighting the works, around the theme of pink, of a Chinese artist pioneering Chen Man. At the The Peninsula Paris we can admire interactive installations and a collection of sensual photos, typical of the artist’s style. Each is decorated with two pink dots, symbolizing both breasts and punctuation foregoing a conversation. In a nod to China theme adopted by hotels Peninsula this year, guests will use traditional bamboo chopsticks to gently scrape the points and gradually reveal the image below. The occasion also to participate in charitable auctions and taste an Afternoon Tea always on the theme of pink. 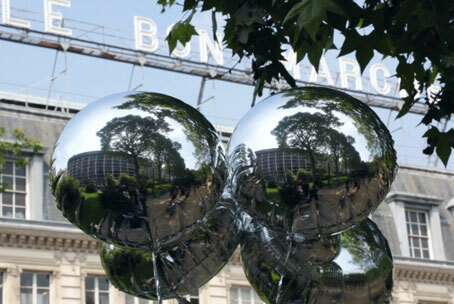 The Bon Marché celebrates Paris! The entire store pays tribute until 15th October to the capital with as guest of honor Christian Louboutin. He has opened a temporary store with a limited edition of exclusive shoes, bags and accessories. Do not miss Sézane which is invited in a “The Apartment Sézane Rive Gauche » corner where exclusive pieces can be found: sweatshirts, t-shirts, coats, shirts and sweaters! A capsule collection signed by three Parisian artists: Cassandra Montoriol, Marin Montagut and Apolline Risser. Sézane offers on this corner, a series of workshops every Saturday: embroidery, hot stamping. And to celebrate its 70 years, the house Farrow and Ball, and more of those sublime shades of paints developed a wallpaper collection inspired by the decade it was born, the 40s. Among the 3 new paperw our preference is for Enigma (named after the famous encoding of the 2nd war machine) with a very graphic design … AF-M.
24 rue de Sèvres, 75007 www.lebonmarche.com. The magnificent Parisian hotel has developed with its partner Clarins a Spa & Dietetics Package for her or him … Follow the program! For her it starts at Bar Long: Continental breakfast or lunch with a My Blend salad by Dr Olivier Courtins-Clarins accompanied by a C Juice then Pilates or yoga classes with a personal trainer followed by an hour of massage balance or Regenerating Care Firming by Clarins and free access during the day to fitness, pool, sauna … for him even breakfast or lunch followed by a course of Boxing, cardio Training or with deYoga then a coach Care Body Scrub Energy or Sports massage an hour with all-day access to the spa (gym, pool, sauna, hammam). For information and reservation contact@SpaMyBlendbyClarins.com, tel. : 01 42 99 88 99 37, avenue Hoche 75008 Paris. This season, the iconic French brand Saint James invited Parisian designer Marie Marot to revisit its timeless pieces. Result: a capsule collection of five exclusive and essential models: two sweaters, two shirts not to mention a cap, cult accessory of St. James. Note the arrival of the black band, the signature color of Marie Marot, that integrates for the first time the famous colorama of the Sailor model and which is available in two twisted versions of the essential sailor sweater: a plain one, the other dressed white stripes. A mention is awarded to the fine shirt declined in white (119 €) and with thin blue stripes. Sophie the Giraffe at the Bon Marché! Sophie The Giraffe has been the undisputed mascot of little ones for 55 years. What more natural than to find it now in the bathroom as a range of certified natural and organic care products of course! Face cream, body lotion (€ 14.70), bubble bath, baby oil, hair and body cleansing gel … Sophie the Giraffe has everything to attract small ones but also their moms with delicate skin. Pierre Guillaume has been treating us with refined fragrances of its brand Parfumerie Générale for years. 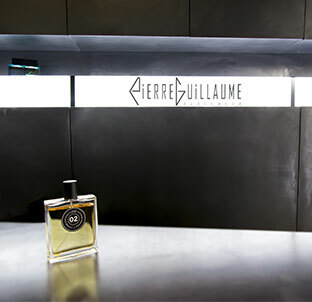 Today opens a shop, rue Jean-Jacques Rousseau, with a minimalist design: inclined black walls and a shaft of light where the 4 bottles of the house collections: Parfumerie Generale, Huitième Art and Croisière and the exclusive Rhapsodie collection, only in this shop are highlighted this way … Already the names of the perfumes make us dream, thus Limanakia from the rocky beaches near Athens, the latest with jasmine scent, Mojito Chypre, Long Courrier with the salty vanilla … After testing it we confess a weakness for Shermine and the iris accents … and Positano 1962 in tribute to Jackie Kennedy who spent holidays there that year. We all had sewn or glued patches on our first backpacks and suitcases, witnessed our teenage escapades. Macon & Lesquoy completely renews the genre with a collection of badges to customize clothing, scarves and accessories. For the end of the year, Marie Macon and Anne-Laure Lesquoy, the two designers of the brand themselves get together with Laurence Mahéo, the creator of La Maison Mer and La Prestic Ouiston. Together, they combine their feathers, their golden thread and their words to pay tribute to the sea and peace. 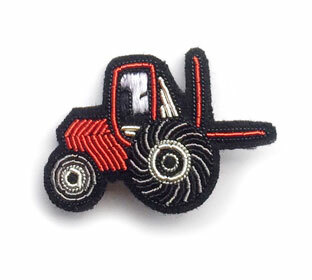 On arrival, charming badges that pay tribute to the world of oyster farming. To surf on a serious world with a staggered style. 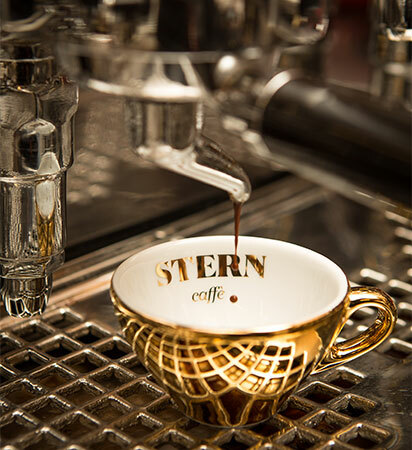 Coffee is an integral part of the history of Caffè Stern opened in the Passage des Panoramas by the Alajmo brothers, emblematic figures of Italian gastronomy, and Gianni Frasi, renowned roaster based in Verona. This one, “artist-craftsman” offers a daily selection of all the most delicate coffees and as tasty as each other. Each is served with a small note showing its origin and “guaranteed flawless.” To celebrate the coffee as it should, the Alajmo brothers have decided to organize on September 22nd a day dedicated to the 55th anniversary of their coffee machine, the Faema E61. A birthday all the more important that the espresso machine is the unique antique model still in operation. The National Museum of Natural History offers on the occasion of European Heritage Days, a unique program that puts on center stage unknown spaces and collections of the general public. 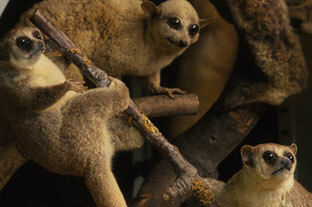 The secrets of the zoothèque will be revealed by several specialists. In parallel, the Library of the museum will present manuscripts, photographs and old maps and conferences to discover the statues of the Jardin des Plantes. During the weekend, a treasure hunt will make us discover the forgotten heritage and the hidden treasures of the museum and the University of the Sorbonne. Until September 18th, 14 designers are staging works of art, precious objects and curiosities in a living space in the heart of the Monnaie de Paris. For this 7th edition of AD Interiors, scenery, objects and high crafted furniture made by the best craftsmen take place in the eighteenth century living rooms of the place and echo the work of art of workshops from the Parisian manufacture and its craftsmen. This year, the exhibition focuses on the theme « Universe of collectors” as a luxury cabinet of curiosity whose installation was designed by Arnaud Gardère who previously worked for AD Interiors in 2014 and 2015. To discover this year among the projects presented, “the precious chamber » by Baciocchi Associati, the « lounge of sounds” by Jouin Manku, the « kitchen’s reflection ‘by Ora-Ito or the » studiolo » by Fabrice Ausset. 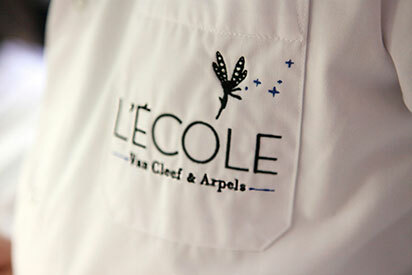 For those who want to learn the arts of jewelery, the Van Cleef & Arpels School offers for this autumn a rich curriculum. Whether introduction to gemology and diamond, practice sessions to learn how to set or to succeed Urushi Japanese lacquer or more academic courses on the history of jewelry, there are for all tastes, all levels and all ages. Even the youngest can dive into the world of jewelry with creative workshops on the theme of animals in Noah’s Ark. The house Moutet opens, for the second consecutive year, its pop-up store at the Gallery BY Chatel, in Tournelles street, until the 17th of September. The Orthez company, in the southwest, is part of the last three French jacquard weavers and the only one in Aquitaine. 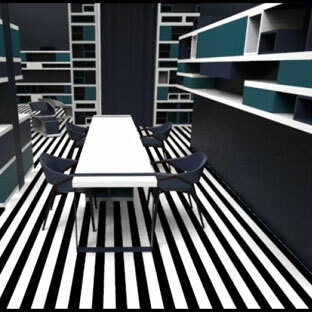 From the designer Hilton Mc Connico to the painter Magritte through the theater of the French Comedy, collaborations enrich Moutet creations with the creativity and sense of color that make them successful. 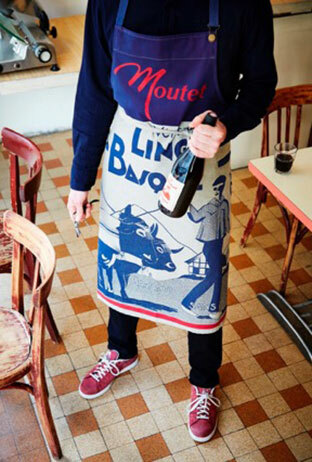 In addition, since 1919, Moutet has chosen the 100% local, long before it was fashionable. For this new edition, the brand has chosen to work with the photographer Grégoire Kalt to interpret his creations and its new collection. The third edition of the project, to be held from the 14th to the 17th of September in avenue Montaigne, will make you experience a unique artistic journey. Organized by the Comité Montaigne, this luxury and prestigious event brings together the 32 houses of the magnificent avenue that open their doors. The opportunity for each to present an exceptional object. Thus, the Maison Blanche restaurant, perched on the Théâtre des Champs-Élysées roof, has chosen to present the Belgian sculptor Isabelle Thiltgès. 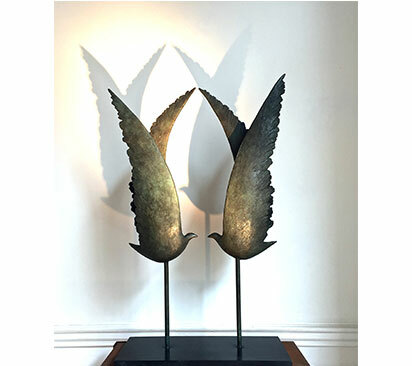 The bronze works on display are found around the bird, a beloved theme to the artist who declines it in the fair lines with the characteristic elegance and sobriety of her work. Preserving the environment is a concern of many countries, including Japan, which, via the More Trees organization, raises awareness of deforestation in the world. 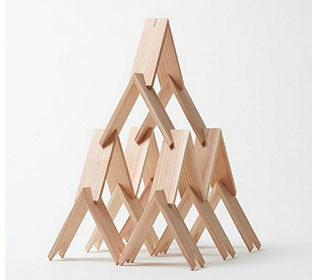 L’Atelier des Blancs Manteaux is hosting an exhibition were Tsumiki (wooden planks overlapping) will be exposed, designed by the architect Kengo Kuma. The Tsumiki are made from the cedars of Morotsuka village on the island of Kyushu. A structure recreating a landscape of the island will be presented and workshops will try to design architectural works or simply original constructions. 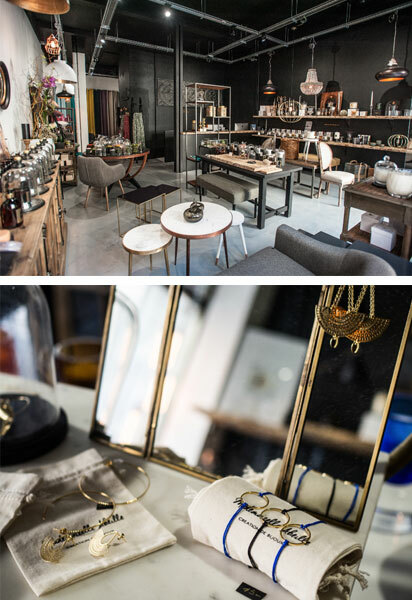 Between the Market Enfants Rouges and the Carreau du Temple, Empreinte sells more than a thousand objects of crafts, unique pieces or small series, hand-made in the workshops of French designers. More than a store where the sale is in short circuit, without intermediary, Empreinte invents a new way f c shopping by offering an uninhibited crafts experience in a welcoming and friendly approach. Tableware, decoration, jewelry, furniture, lighting, cabinet of curiosities and exceptional pieces … so many ways to beautify the life with a touch of emotion, to bring a soul to it. 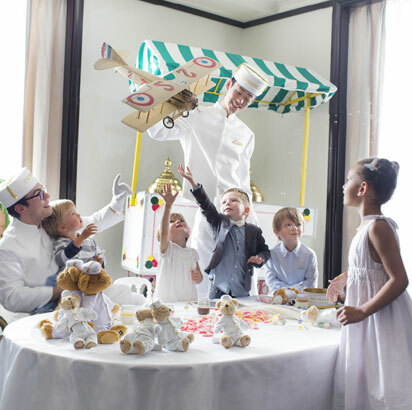 The Parisian palace now offers a brunch dedicated to children and designed for them. Under the watchful eye of the organizers of the company Family Twist, they will be able to enjoy special activities for youngsters. And not to disturb the parents, two lounges are available for them. Children will find lounge sofas to their size, ottomans, assortment of colorful rugs and playground. Those who wish may participate in a massive game on the theme of travel with lots of prizes to win. The others can go to the movie theatre where will be screened Walt Disney movies or play video games. A sweet buffet and Aguas Frescas drinks will be available to them. After creating in 2011, the central garden and the terraces of the suites 704 and East Royal of the Hotel Mandarin Oriental, the young landscape agency Christophe Gautrand & Associés have designed a herbs bar-counter for star chef Thierry Mar . 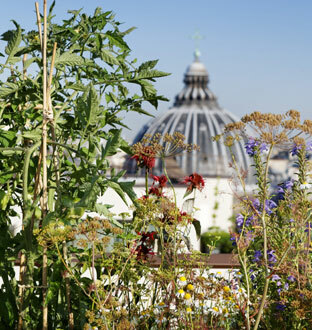 Installed on the roof terrace of the palace, there are 35 varieties of collection or unusual plants, sources of inspirations for new culinary tests, to discover in cocktails, infusions and in the plate. Twelve students from the Master in Design for Luxury & Craftmanship of the Cantonal School of Lausanne (ECAL) have worked on the utensils of the future in partnership with Mauviel 1830 under the leadership of the three-star chef Yannick Alleno. The result ? 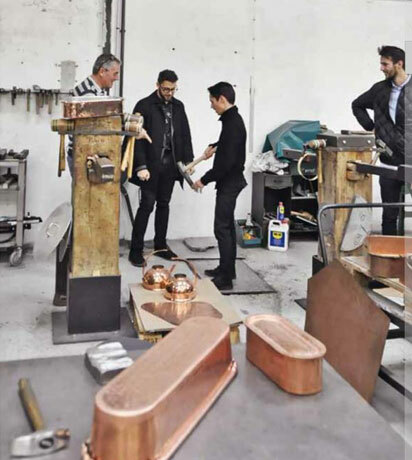 Depending on the nationality of students, original creations that change the approach to cooking utensils that combine the materials traditionally worked by the Norman manufacture. The expertise of Mauviel1830 in terms of transformation of the material through specific techniques, but also the knowledge of the specific needs of cooks were also extremely useful elements to start this ambitious project. The twelve creations are on display until September 10th at the Docks City of Fashion and Design.